When I received an email a few weeks ago saying that I had been selected for the next Influenster VoxBox, I was very excited. Since the concept of getting everyday people to try out new brands has come over from the US to the UK, I have been itching to be selected and am so thankful that this time round I was. Then, I got even more excited when the box came and it was full of Rimmel goodies. Rimmel is a brand that I haven't really explored much of, apart of the Stay Matte Powder (HOLY GRAIL, DO OR DIE PRODUCT) there isn't much that I love from them. I think this is down to that they tend to cater for lighter skin tones than mine and this puts me off even looking at the stand in stores. However, things are a little different this time round with their newest launch. They have a whole range of different shades from pale to medium to almost dark and I got very excited to receive a foundation from them that matches me. The newest launch from Rimmel includes the Lasting Finish Foundation and Concealer. These both claim to be lightweight and have a breathable formula that can be built up from light to medium coverage. I tend to be someone who loves medium to full, but as my skin is slowly starting to get better light to medium isn't as bad as I thought. In total there are 17 shades for this foundation, which doesn't seem as many compared to other brands but is very good for a budget brand. I have the shade 'Bronze 402' which matches me and my cool undertone perfectly. This is rare in itself, but I think that as it is winter this is a perfect match, but in summer I would need a shade darker to warm my skin up. 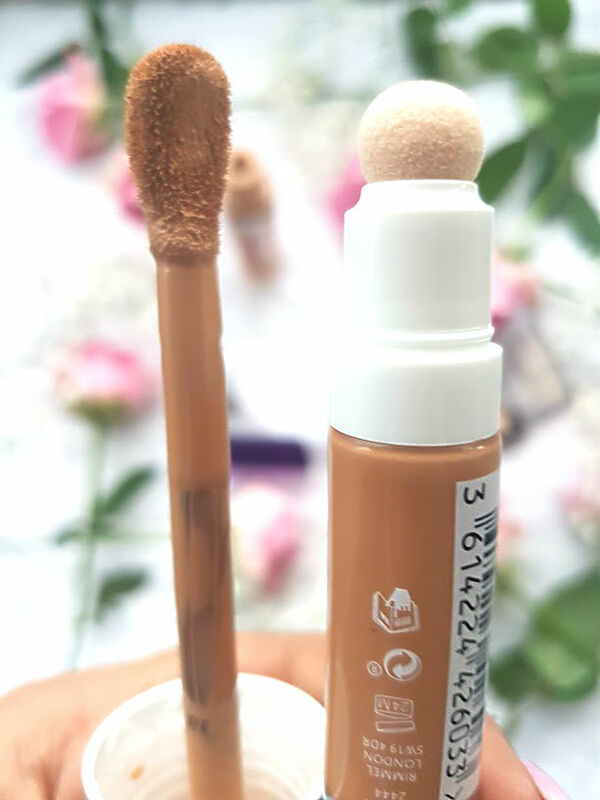 The applicator is what makes this foundation very fun to use, similar to the Clinique 2 in 1, you have this large doferfoot to apply the foundation all over your face. I actually love these types of applicators, less messy than a pump and easier to use than a straight up bottle. I use it to apply a few streaks all over my face and then blend in with a sponge. First layer is pretty bare, I am still able to see my scars and uneven skin tone but once I apply a second layer it all changes. The second layer gives me more coverage and covers everything that needs to be covered, I sometimes go in with another layer but this does not feel heavy at all. In fact, it feels as though there is nothing on the skin. Lightweight and breathable claims definitely are true! It seems to gain coverage as time goes on, I find that leaving it for a little bit helps with adding coverage? Is this even possible with a foundation - I don't know but it does. I have worn this with different primers and moisturisers, which all work well no matter your skin type. It doesn't cling on to dry patches or emphasise them. I don't think that it is very suitable for those with really oily skin as it has a slight dewiness to it, throughout the day this dewiness starts to come through and oily skin will look awful! After around the 5 hour mark, I have to blot to remove excess shine but everything by the end of the day (10 hours) is looking pretty good and still there on my face. Along with the foundation, Rimmel have released a concealer to match. This comes in 5 different shades and claims to help conceal imperfections in just one go. It has a soft, cushion applicator and just like the foundation is breathable and long lasting. I am so on the fence about this concealer, the applicator is not for me. It isn't very bouncy compared to Maybelline's sponge which I love. The concealer has to be tapped on the skin and then blended out into the areas you want. The colour is spot on for me, it matches my skin so well and added on top of this foundation and others, gives me a little extra coverage when it comes to spots and redness. Under the eyes this is awful, it creases so bad! I think this is down to the thickness of it, so thick! On the swatches below, it is the third one down, which compared to the foundation is super heavy and thicker. I don't hate this concealer, but just have ones that I prefer over it. Also in the box, were some of Rimmel's bestsellers. a Moisture Renew Lipstick in the shade 'Vintage Pink', this is almost a pink with a violent tint. I love how this applies to the lips and makes my lips feel nourished but the staying power isn't great, once drink and it is right off, but great for natural makeup days. 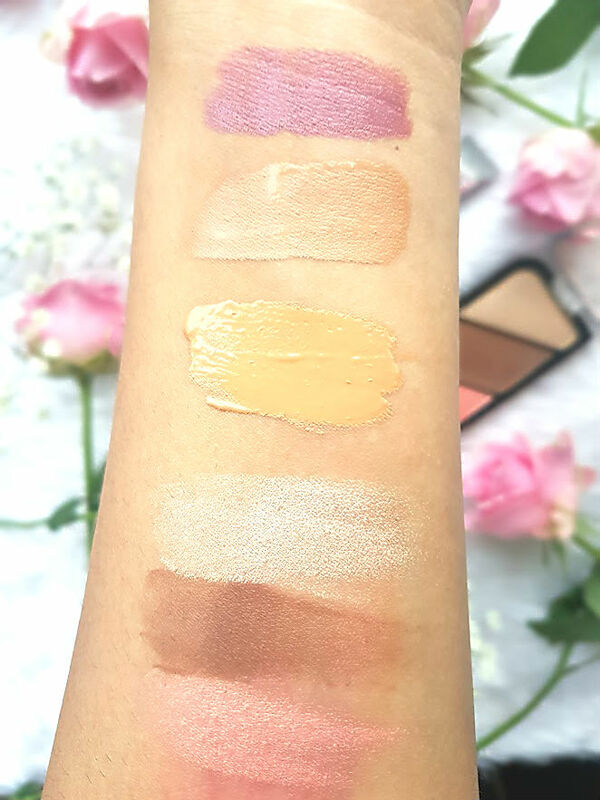 Then there's the Kate Moss Sculpting Palette that I have wanted to get my hands on for ages, since seeing so many bloggers love it. It definitely did not disappoint, the contour shade is cool enough for me to use (WOO) and doesn't look muddy either. It blends really well and gives me actual cheekbones. I love the blush shade in it, even though I am not much of a blush person now autumn has come around and ooh the highlighter. I love using this for everyday when I am wanting something subtle and glowy. It is a great little compact to use everyday and when you travel. I have to say that overall, I am impressed with everything in this box. 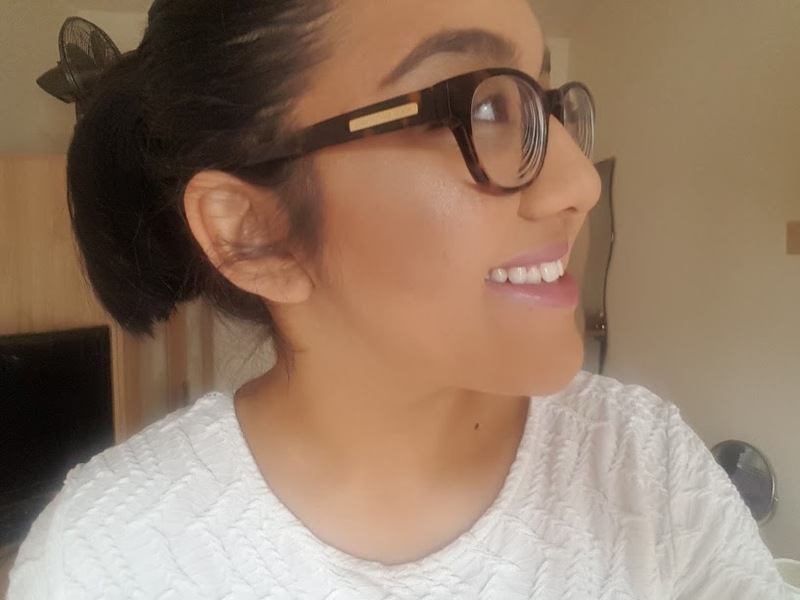 I probably would have never tried the foundation or concealer so thank you Influenster for giving me the chance to try it out and fall in love with it. I have been wearing this everyday for university these past few weeks, the perfect product for everyday laziness. 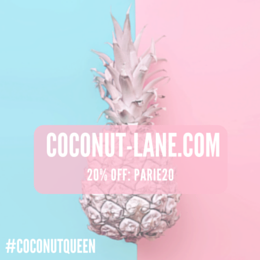 p.s join Influenster today, for your own chance at getting a VoxBox! 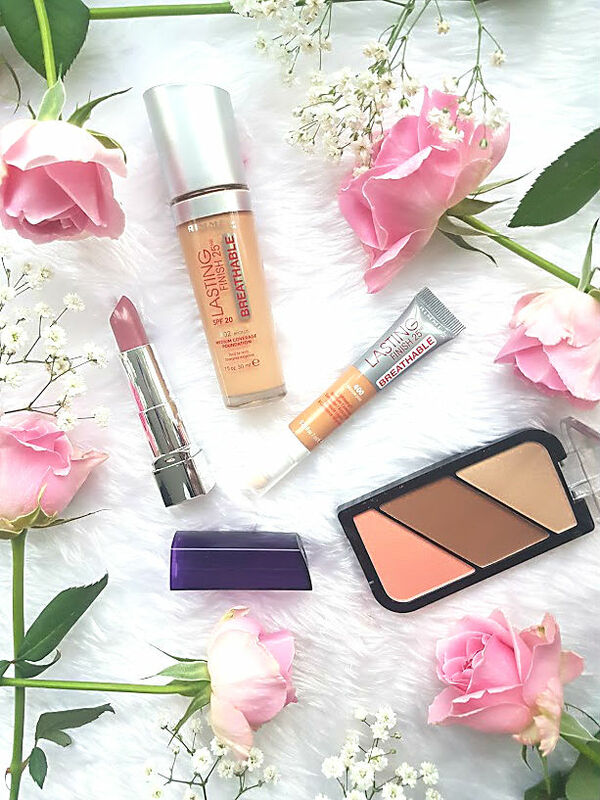 *I received these products complimentary from Influenster, however all thoughts and opinions are my own.